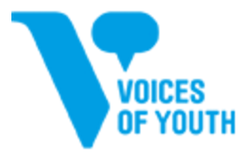 Voices of Youth offers inspiring, original insight and opinion from across the globe – from young people, for young people. Thereby, countering disheartening headlines about today’s young generation, the Voices of Youth community proves that young people ARE making a difference, each and every day. But making a difference doesn’t have to be boring – they bring fresh and honest views and stories, written and filmed by unbeatable international youth bloggers. VOI is looking for 10-15 young people from across the world for a 3 month internship - who will blog at least once a week and participate in online discussion on the VOI online platform. The internship is done by remote participation, interns will not be required to travel anywhere. During the internship bloggers will receive regular feedback on your writing, get access to tips & tricks on how to write a good blog post and exchange ideas with other blogging interns. At the end of the internship interns will have improved their blogging skills, gained new insights into global development issues and been connected to a network of international young bloggers.